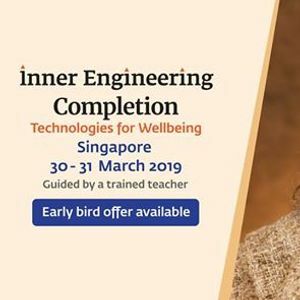 Inner Engineering Completion is a 1.5 day in-person course available to those who have completed Inner Engineering Online (included in the package option). In this class, you will learn a simple 21 minute practice called Shambhavi Mahamudra Kriya, also known as Shambhavi Kriya. 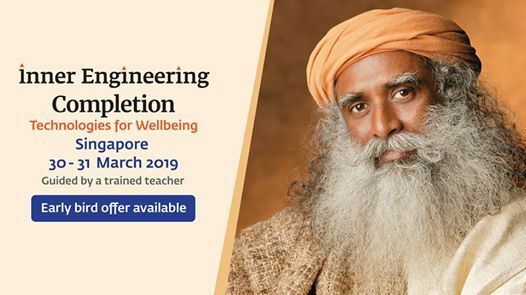 The kriya gives you an opportunity to empower yourself on the energy level which would further enhance your awareness to apply the intellectual process from Inner Engineering Online. The program is designed such that the first part can be completed online at your own time and pace and the second is a weekend program. For those who have registered for IEO separately, please register for this program using your IEO profile after completion of IEO. Step 1 - Receive the Inner Engineering Online login details, once you register for this program. Step 2 - Complete all the 7 classes for IEO. Each class is just 90 minutes in duration. Step 3 - Attend the Inner Engineering Completion program once you have finished all 7 IEO classes. Important Note: You can not attend the weekend program before finishing all 7 online classes.